Guy Davies posted an interview with Robert Strivens, who is Principal-Designate of the London Theological Seminary, on his Exiled Preacher blog on 8 February 2008. The interview is reproduced here with kind permission. GD: Hello, Robert Strivens and welcome to Exiled Preacher. Please tell us a little about yourself. RS: Thank you, Guy. It is a privilege to be interviewed on your blog. I am 47, married to Sarah, with three sons: David, Thomas and Daniel – aged 22, 20 and 17. We live in Banbury, which is a lovely market town in Oxfordshire. I was pastor of Banbury Evangelical Free Church for eight years, but finished that last summer in order to take up my current position as Principal-Designate of the London Theological Seminary. Before going into the pastorate, I trained (at LTS) for 2 years, and previous to that I was a solicitor for 12 years in a large firm in the City of London. Although moving from the legal profession to pastoral ministry was a big change in our lives, the skills and experience I gained there have proved very useful in my current work. GD: Give us a (very) potted account of the origins and history of LTS. RS: LTS was founded in 1977, under the leadership and vision of Dr Martyn Lloyd-Jones. It was set up to provide a training-ground for men planning to enter pastoral ministry. There was a belief that the training available for men in non-Anglican situations needed strengthening. The vision was for a seminary that would serve the evangelical community in this country, by focussing on the need for sound, biblical gospel preaching and the study of the great truths of the Reformation. GD: As incoming Principal, what is your vision for the role of Seminary in the 21st century? RS: To build on what has been done here to date. We need to be engaged, as a seminary, with evangelical churches up and down the land. We need to offer training that wins the confidence of those churches. I am currently meeting with pastors and churches around the country to listen to what they have to say about LTS, and we are developing the course in a number of areas to address some of the issues that have been raised. We are also engaged in the early stages of a building project to enlarge the library and the lecture facilities. I would love to see those new facilities full of UK and international students, all preparing for a lifetime of faithful, biblical ministry. GD: Many theological colleges in the UK are geared up to educate and train a wide range of students. Why does the Seminary simply focus on the pastoral-preaching ministry? RS: Because we believe that the urgent need today is for church leaders who are strong in the Word of God – able to grasp and proclaim its message for today’s world. Other areas of ministry are important too, of course, but we believe that at LTS we will do best by focussing on one main aim and carrying it out to the best of our ability. GD: Is there such a thing as a distinct call to the Ministry of the Word? If so, what is it? RS: Yes, I believe there is. In Eph. 4:11, in the midst of a passage dealing with the gifts that Christ gives to each believer for the growth and maturity of the church, Paul singles out Word ministry as the particular means that Christ uses to enable this. If these men are ‘given’ to the church, it would be odd if they did not know it. The real question is: how are they (and the church) to know it? All would agree, I think, that this must involve the right character and gifts for the work, and that these must be recognised by the church – not just by the individual concerned. Is there a subjective element to it as well? I would find it strange if there were not, and verses like 1 Cor. 9:16 and 1 Tim. 3:1 seem to indicate such an element – but I know there is controversy over this and this is perhaps not the place to go into it in depth! GD: Are all members of the faculty men with pastoral experience as well as theologians and biblical scholars? RS: Yes, absolutely. That is one of the founding principles of LTS. We believe that (at least) two things are essential in a lecturer here: (1) a thorough grasp of the subject he is lecturing, and (2) a pastoral approach to teaching it, i.e. addressing those issues and difficulties which affect pastoral ministry, rather than issues which arise solely in an academic context. We aim for a high intellectual level, at least equivalent to any academic course – but the perspective is intensely pastoral. GD: What are the advantages of attending a Seminary over ‘in house’ training in the local church? RS: Breadth and depth, I would say, and perhaps speed. Seminary training is not right for everyone. But it does expose students to a variety of different lecturers, from different backgrounds and with different perspectives, which in-house training may not provide. I think this is an enormous benefit. Mixing with fellow-students from other backgrounds is also, in my view, invaluable. And normally, I think, a lecturer who has specialised in a particular area is able to teach it in more depth than may be attainable in-house. Finally, I suspect you can simply cover more ground more quickly through a seminary course than if you are also working part-time in your local church. GD: What are the key elements of the two-year LTS course? RS: We study the Old and New Testaments in depth. Hebrew and Greek are studied with some rigour throughout the course, as we believe these to be invaluable tools for anyone involved in Word ministry. Systematic theology, church history, pastoral theology and contemporary issues make up the other core elements of the course – with, of course, a constant emphasis upon preaching. GD: The Seminary does not award degrees. Why is that? RS: We believe that the training of men to serve as preachers and pastors in the church of Jesus Christ must remain under the exclusive control, so far as possible, of the church. We do not see any place for the involvement of secular agencies. Even if such agencies have no input into the substantive content of what is taught, there will be extra administration, extra cost and, I suspect, ultimately some influence on the make-up of the course in some way or others. Of course, the issues may be different for seminaries that are also seeking to prepare people for a full-time academic career, which is a necessary task, but it is not what we are engaged in. GD: What about the work of the John Owen Centre? RS: I believe that the John Owen Centre for Theological Study has a vital role to play in the future of independent evangelicalism in this country. I think if we are honest, we would have to say that developments in Reformed theology currently tend to be led by the North Americans and, in this country, the Reformed Anglicans. They are the ones, for example, who have principally led the response to the new perspective(s) and to the recent attacks on the doctrine of penal substitution (though I would mention that one of the first books written on the new perspective in this country, well before many others, was by our current Principal, Philip Eveson – The Great Exchange). I believe the John Owen Centre is uniquely placed to help develop a strong, robust understanding of Reformed theology in this country. We have exciting plans to develop the courses and seminars we currently run (including a fine ThM course from Westminster Theological Seminary, Philadelphia, which can be done entirely here at LTS), to develop our library resources, and provide all necessary facilities for pastors and others to carry out research at the highest level. You might be interested to look out for the Calvin Conference we are planning for 2009, to celebrate the 500th anniversary of his birth. Watch out for developments at http://www.ltslondon.org/, or let us know (admin@ltslondon.org) if you would like to be kept informed of regular events. GD: I first heard of the new perspective in Philip Eveson’s lectures on Galatians in the late 80’s. He was engaging with Saunders and Wright way before many other Reformed theologians.1 The Calvin Conference sounds like a very interesting prospect. Now, pastors are not just preachers. Amongst other things, we have to lead the flock, cope with difficulties in church life, counsel the wayward and visit the sick. What is the Seminary doing to help men face the practical realities of pastoral ministry? RS: Pastoral theology – meaning the practical aspects of pastoral ministry – is one of the core elements of the course. We also have a mentoring scheme which places each student with a local church, to give him experience of the different aspects of pastoral ministry that you mention. This works well and we are planning to develop it further, to provide students with opportunities during vacations for longer placements in partner churches. GD: Did the training you received at LTS give you adequate preparation for the Ministry? RS: It was excellent. I only hope that, as Principal, I shall be able to uphold and continue to strengthen the high standards that have applied under my predecessors. GD: Over the last twenty years or so, there has been something of a recovery of expository preaching in the UK. This applies both in Free Church and Anglican contexts and is a very good thing. But isn’t there more to preaching than simply giving a biblically accurate, well structured, nicely illustrated, and thoughtfully applied address? Where does the work of the Holy Spirit come into all this? RS: Of course, the work of the Spirit is vital. Without him, we have nothing to give except hot air. We try to impress on our students the preacher’s need for complete reliance upon the ongoing work of the Spirit – in preparation and in delivery of sermons, as well as in the entirety of his life. GD: Amen to that! Do you think that enough emphasis is being given to evangelistic preaching, that is preaching aimed at the salvation of the lost? RS: No. And too much preaching that is intended to be evangelistic misses the mark because, in our biblically illiterate age, it takes far too much for granted. A great deal needs to be done here. John Wesley famously said that he would have far rather preached from a comfortable pulpit, but he was barred from most of them and so he went to where the people were. He wasn’t going to be prevented from taking the gospel of life to the crowds who had never heard it. We need the same attitude. GD: There are many pastorless churches in the UK. But there are also a number of men who have trained for the Ministry, but have not yet found pastorates. What more could be done to remedy this situation? RS: A very good question, which I think raises a host of issues. More co-ordination perhaps is needed. I wonder sometimes whether churches, and potential pastors, can sometimes be too choosy in their approach. Above all, we need to pray and we need to have a heart ready for service to Christ, in whatever circumstances we might find ourselves. GD: When I went to LTS, I had a grant from my local education authority, which paid for everything and gave me some money to spend each term. Those days are long gone. In the current climate, isn’t attending a Seminary prohibitively expensive? RS: No, not at all. Our fees are actually quite low! But in any event, God’s people are very generous. We have bursaries and grants available for men who would not otherwise be able to fund themselves – both for UK men and for international students. This means that lack of finance should never prevent someone from coming to LTS. GD: That’s good to hear. What is the main goal of ministerial training at LTS? RS: To prepare men to minister the Word of God to a world of sinners. 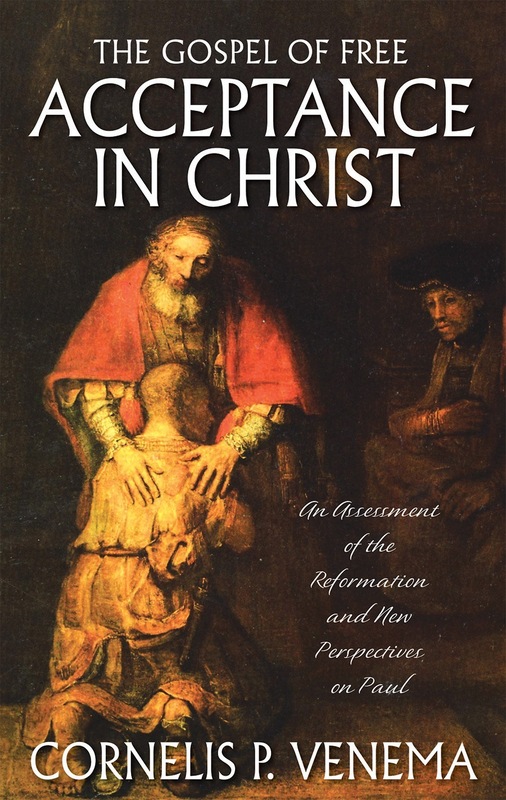 RS: Steve Jeffery, Mike Ovey & Andrew Sach, Pierced for our Transgressions: Rediscovering the Glory of Penal Substitution (IVP, 2007). This is the definitive answer to current objections to the doctrine of penal substitution. The authors deal with the issues biblically and systematically and answer contemporary objections one by one. A really excellent resource. GD: I second that. See here for my review.4 Care to share your top three songs or pieces of music? RS: If you mean Christian songs: I enjoy Stuart Townend’s ability to put real theology into poetry, as well as his musicianship; specific hymns would feature Toplady, ‘A debtor to mercy alone’; Joseph Hart, ‘Come, ye sinners, poor and wretched’; and David Charles, ‘From heavenly Jerusalem’s towers’. If you mean any music, then (currently): Beethoven piano sonata Op. 111; the last movement of Tchaikovsky’s Pathetique Symphony; and Rodolfo’s aria ‘Che gelida manina’ in La Boheme. GD: What is the biggest challenge facing evangelicalism today, and how should we respond? RS: An increasingly self-confident and arrogant secularism – which is really the age-old selfish human pride of fallen man, dressed up in 21st century Western clothes. The response is the same as ever – the bold, Spirit-dependent proclamation of the gospel, calling all people everywhere to repentance and faith in Jesus Christ, who alone saves sinners. GD: The Seminary has an Open Day on Saturday 1st March. If anyone is interested in attending, and would like to find out more, how can they contact you? RS: Through the link on the website, http://www.ltslondon.org/; email to admin@ltslondon.org; or phone us on 020 8346 7587. All very welcome! GD: Well Robert, thanks for this conversation. I wish you well as you take up the role of Principal. May the Lord richly bless all that you seek to do for him! See also the review by Jonathan Master in The Banner of Truth magazine, Issue 534 (March 2008), pp 26-7, and the articles by Steve Jeffery et. al. and J I Packer on the Banner website.